For this dish, I made some substitutions in a recipe I found on foodnetwork.com. Drain the artichoke hearts upside down in a colander for at least 15 minutes. 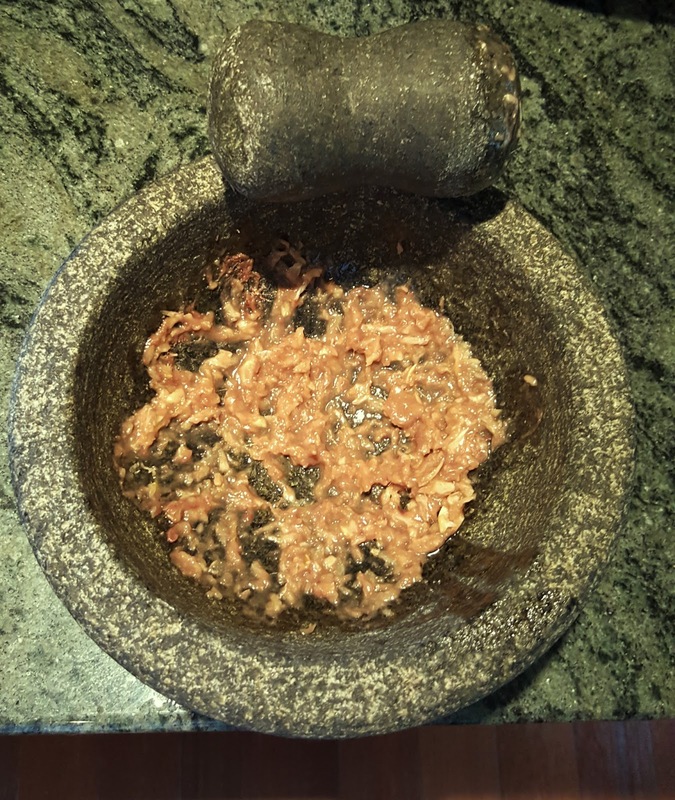 Meanwhile, grind together the garlic cloves and the anchovies. If the anchovies are unsalted, add a pinch of salt as you grind. Place the butter and an equal quantity of olive oil into a small pan and place the pan over medium heat. 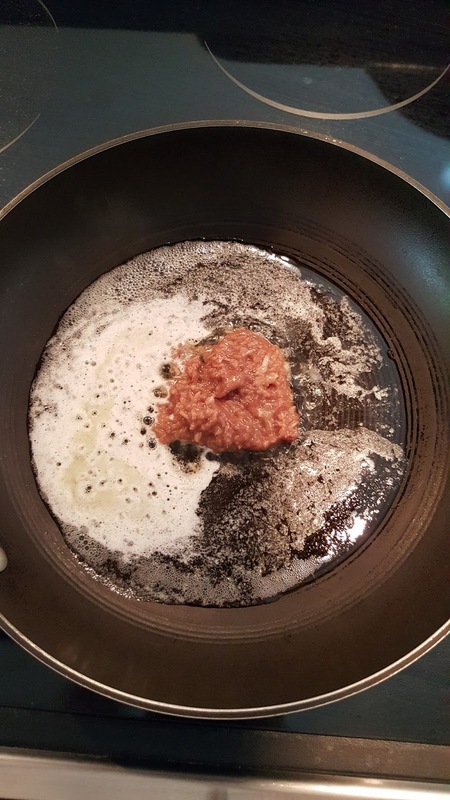 When the butter is melted and starting to foam, add the garlic anchovy mixture to the pan and stir to blend it with the olive oil and butter. 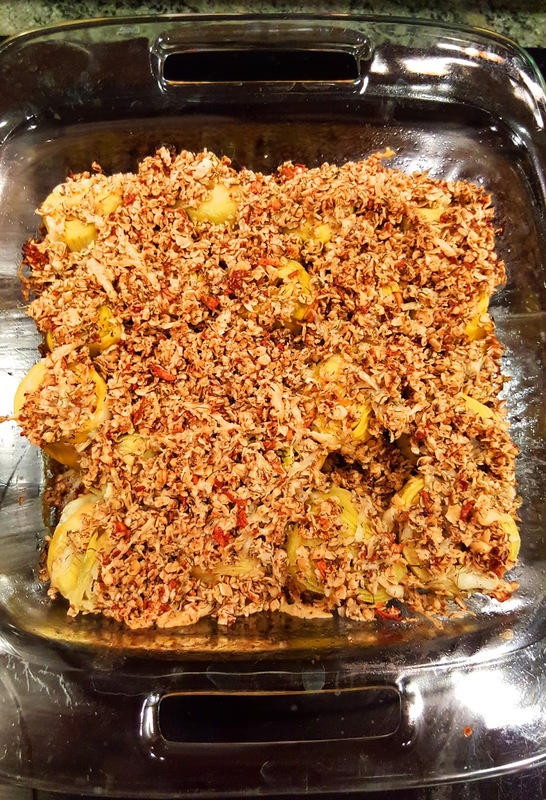 When the anchovies are dissolved and the garlic no longer smells raw, add the oats, dill, and pepper, and stir frequently until the oats are slightly toasted. 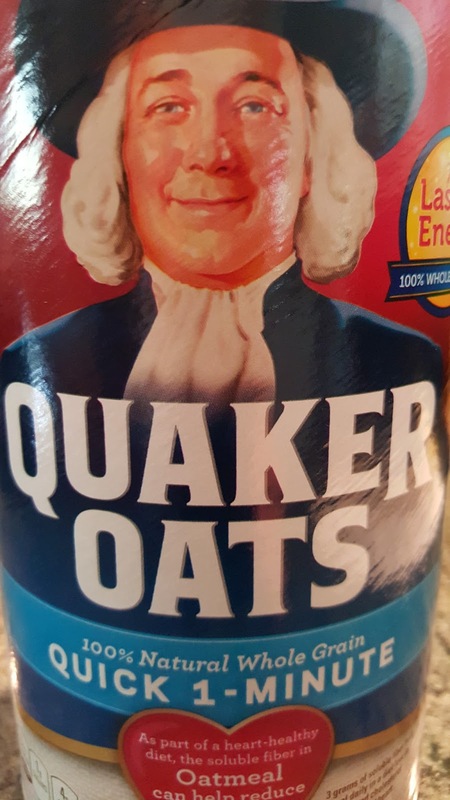 Allow the oat mixture to cool. Spray or brush a light layer of olive oil over the inside of an oven-proof dish. Place the artichoke hearts, cut side facing up, into the dish. Drizzle approximately 5 ml (or 1 teaspoon) of wine into each artichoke heart. 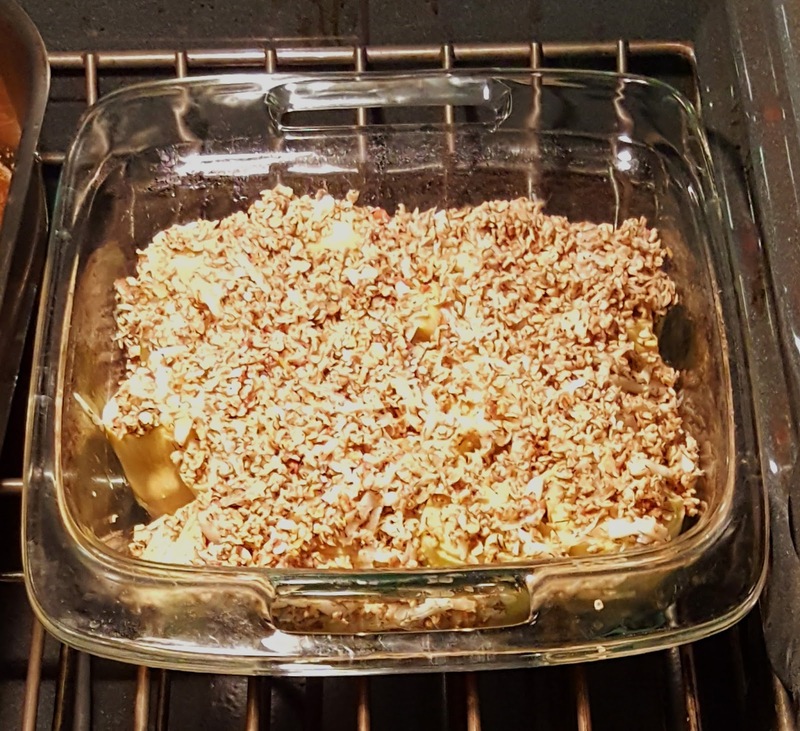 Grate the cheese and, when the oat mixture is cool, mix the cheese into it. Sprinkle the oat mixture across the tops of the artichoke hearts. Place the artichoke hearts in the oven and bake them for 20 minutes. I usually buy artichoke hearts marinated in herbs and olive oil, to put on salads. 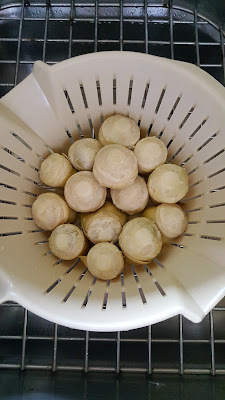 On one recent shopping trip I mistakenly ended up with plain, watery artichoke hearts. After not remembering to take them back for several weeks I decided to figure out something that would make these little bites a bit more appealing, and found a recipe that got me started. 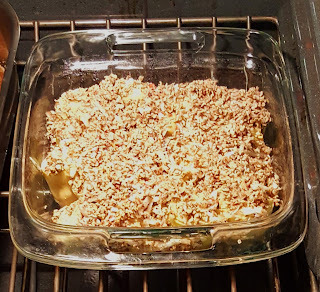 The main substitution I made to the Food Network recipe was whole grain oats for bread crumbs—an idea I got from my daughter. 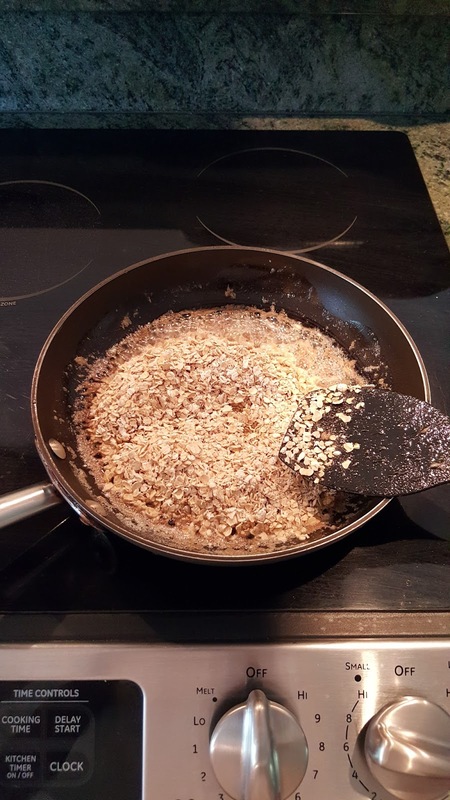 Oats do make a satisfactory crumb topping, although the grains are a bit big. Next time around, I might try to grind the oats to a finer consistency before adding them to the pan. Next time around, I might even buy artichokes in water on purpose.